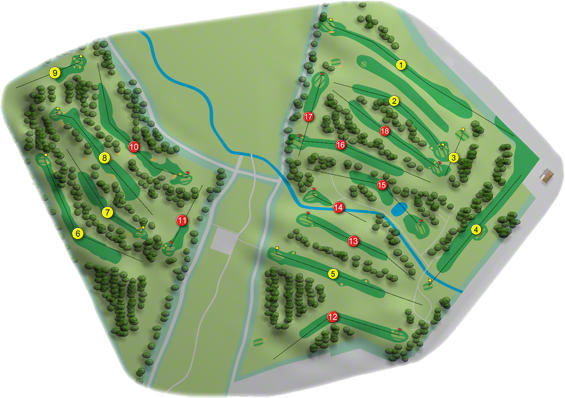 Mitchelstown Golf Club completed it extended course from 15-holes to a fine 18-hole Parkland course. Measuring 5,773 m Par 71 with a standard scratch to match, redesigned by David Jones. Set in the Golden Vale, the views from the course are magnificent, with the majestic Galetee Mountains in the background. 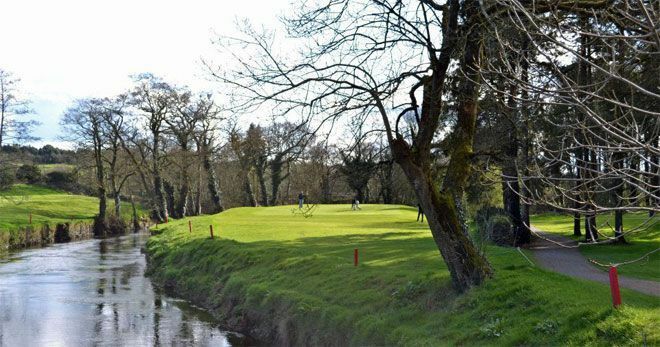 Mitchelstown Golf course is renowned for the quality of its greens, tree lined fairways and friendly atmosphere. Gently undulating land, intercepted by a river, makes it the ideal golf course for golfers seeking tranquillity and a golf challenge. Mitchelstown Golf Club was awarded the venue of the Munster Finals for the Irish Cups and Shields in 2002. 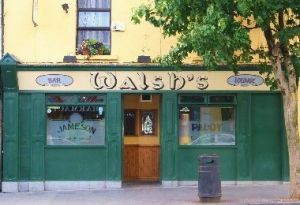 The visitor is always extended a warm welcome at Mitchelstown Golf Club together with a memorable game of golf. Mitchelstown Golf Club won their first All-Ireland Final in 2011, when they captured the Irish Junior Cup at Castlerock Golf Club in September. They beat Woodstock Golf Club by 4-matches to 1-match at Clonmel Golf Club on Saturday 13th August in the Munster Final. They made the long journey to the Co. Derry Golf Club to compete in the All-Ireland deciders the following September. They were drawn against Connaught Champions Ballina Golf Club in the All-Ireland Semi-Final, whom they beat by 3½-matches to 1½-matches. First on the tee was John Cahill who beat Jonathan Kelly by 4 and 3, he was followed by Sean Lane who beat Liam Casey by 3 and 1. Next up was Adrian Gamble who lost to Jonathan Doherty by 3 and 2, the penultimate match of John Maguire against Kenneth Lawrence went to the Mitchelstown man by 4 and 3, the bottom match of Clem Leonard was halved with Noel Dee. They met Ulster Champions Lurgan Golf Club in the All-Ireland Final. First on the tee was John Cahill who beat Laurence McGrady by 1-hole, he was followed by Sean Lane who had a similar result against Philip Shaw, next up was Adrian Gamble who had a 3 and 1 win over Michael McSherry, with their first national victory in the bag the bottom two matches of John Maguire against David Magee and Clem Leonard against Gareth Hanna were halved. The Ladies of Mitchelstown Golf Club won the Munster Final of the AA Insurance Junior Foursomes and made their way to Royal Tara Golf Club to participate in the National deciders in 2009. They met Ulster Champions and eventual green pennant winners Edenmore Golf Club in the All-Ireland quarter-final, first on the tee was Philomena O'Sullivan (15) Mairead Perry (16) who lost their match by 2 and 1 against Zoe Allen (18) with Claire Usher (23), they were followed by Eithne Bermingham (17) with Brid Seymour (21) who halved their match against Debbie McMaster (15) with Heather Fleming (30), the bottom match of Lisa Brennock (20) with Geraldine O'Donovan (23) was lost by 3 and 1 to Cherry Logan (19) with Sally Cushnahan (28). Mitchelstown Golf Club won the Munster Final of the Jimmy Bruen Shield in 2006, when they beat Muskerry Golf Club by 3 and a halve matches to 1 and a halve matches at Cahir Park Golf Club on 2nd July. It was on to Enniscrone Golf Club for the National Finals, where they where drawn against Ulster Champions Castleblayney Golf Club in the All-Ireland Semi-Final on Friday 15th September. First on the tee was Clem Leonard and Dave O’Connor against Eamon Tavey and Kevin Quinn whom lost out by 3 and 2. Next up was Dave Cahill and Noel Finn against Frank McDonnell and Eugene McGuigan the match went to the 18th but Blaney won by 2-holes. They were followed by Jerry O’Riordan and Vinny Ryan against Alan Bolger and Vinny Ryan, but it was not to be as they lost by 3 and 2. With the All-Ireland place already decided the penultimate match between John Finn and Michael Hennessy against Eugene Hughes and Raymond McHugh ended in a halve, as did the final match between Kieran Casey and Stephen Slattery against Declan McAteer and Mick Fee. However a Munster Pennant in one of the major Championships was a first for this club in North Cork. Mitchelstown Golf Club won the County Championship of the J. B. Carr Diamond Trophy in 1996, when the team was, F. Roche, D. Finn, J. Skinner, J. A. Ryan, Fr. J. Ryan, Fr. P. Currivan, J. Walsh, T. Fitzpatrick. L. Keating, they were captained by Br. P. C. Treacy. They won it again in 2000. Mitchelstown won the Irish Section of the "Mail on Sunday" when they defeated Enniskillen Golf Club in a dramatic sudden-death climax at the K Club in 1996. The Ladies of Mitchelstown won the ILGU Munster Cup Southern District in 1996, when the team was, Pat O'Donnell, Fiona Mullins and Orla Lee. They won the ILGU Minor League the same year, when the team was, E. O'Flynn, P. Brannock, A. McMahon, T. Nugent, G. O'Donovan, B. Molan, J. Cunningham, B. Hyland and E. Fitzpatrick. They won the Duhallow Shield in 1997, when the team was, J. Cunningham, M. Hanley, M. A. Hanley, M. Coughlin, M. Sheedy, O. O'Brien, I. Luddy, G. O'Donovan, R. Doody, M. Ryan and A. Kelliher, they were captained by N. Brennan. They won it prior to that in 1973.